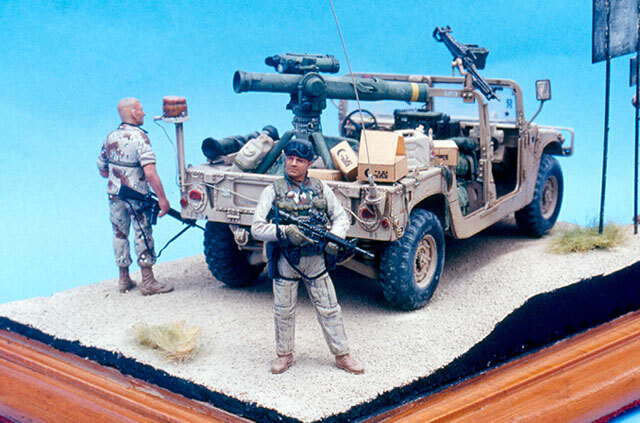 I completed this vignette for one of my clients in 2003 and was inspired greatly by the 1991 ODS Gulf crisis. 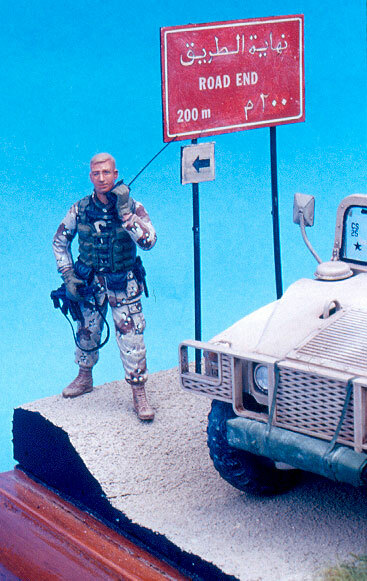 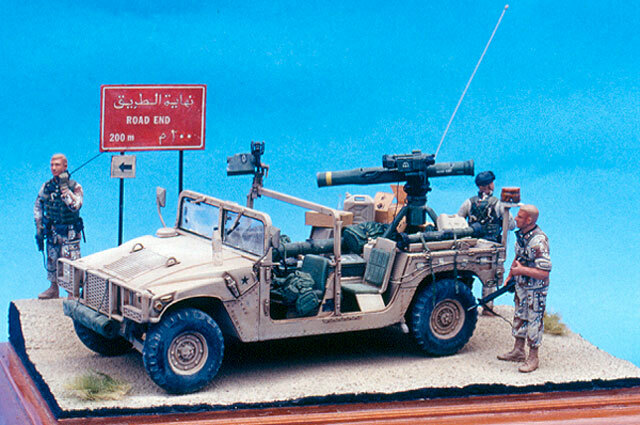 The particular set was completed using Tamiya (Kit No.35143) HMMWV with M242 Bushmaster and figures remodelled with mixing limbs and torsos by using the ones from Tamiya's and DML figure kits and the spare box. 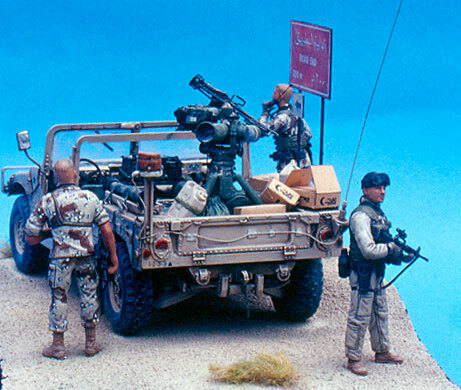 M998 HMMWV in Detail by Frantisek Koran & collection Wings & Wheels Publication.